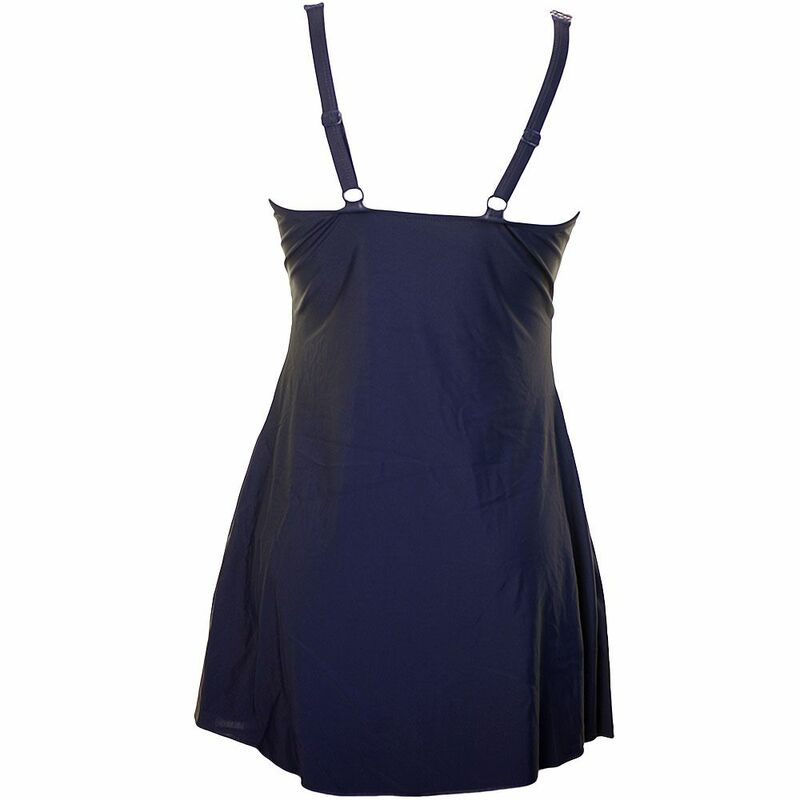 This skirted Beachcomber rope design swimsuit is elegant and poised in navy and white and has the rope design fabric at the front. Swimming or sunning this higher backed swim-dress will keep its good looks so you can confidently look and feel good too. Comfort and control is designed into this style with full inner bust support, inner swimsuit with full front lining, wider adjustable straps and all round skirt so you can be as active as you like in the sun in this modest style.